Nowadays, 360-degree cameras are getting popular from Samsung Gear to GoPro to Facebook. 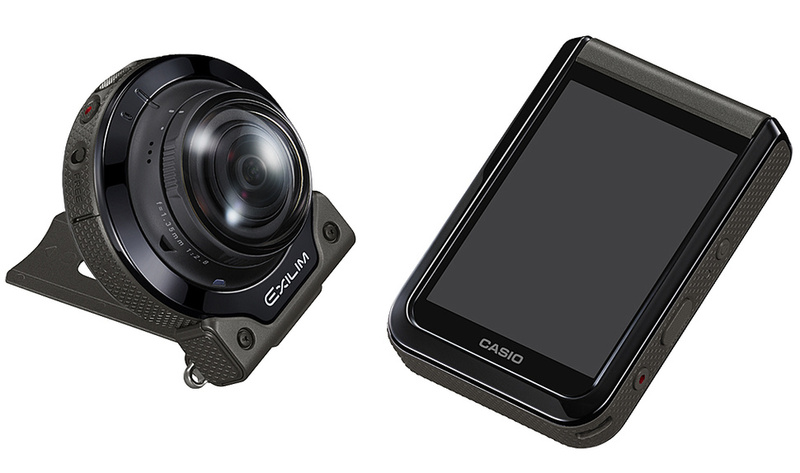 Now Casio unveiled a new 360 degree camera it has created that includes a detachable lens unit allows the body to control two cameras at the same time takes the form of the Casio EX-FR200. The EX-FR200 looks much like its predecessors, and features the same modular design, enabling it to be deployed in a number of configurations. These include having the lens and screen positioned like a traditional camera, facing same way for selfie shooting, or separated so the camera module can be mounted somewhere, or worn like an action camera. The EX-FR200 shoots in four different modes, capturing a 180 degree 3888 x 3888 fisheye picture, an unwrapped 360-degree 7456 x 1864 panorama, a super-wide 208-degree photo, or that back-to-back 360-degree image. The control module features a 3-inch 920,000 pixel LCD touchscreen, and can now be used to control multiple camera modules, that will be available for purchase separately. This feature lets users shoot from multiple angles at the same time, or also using a new accessory, mount two of the camera modules back-to-back. This enables the EX-FR200 shoot full 360-degree images and video in the same way as the Ricoh Theta S or Samsung Gear 360. The camera can also capture 4K video and is freeze-proof, waterproof, and drop resistant. It’s not clear how much it’ll cost or if it will be released outside of Japan, but Casio says it will go on sale there mid-September and will be available as a bundle of the controller module and camera, or just the camera module on its own.